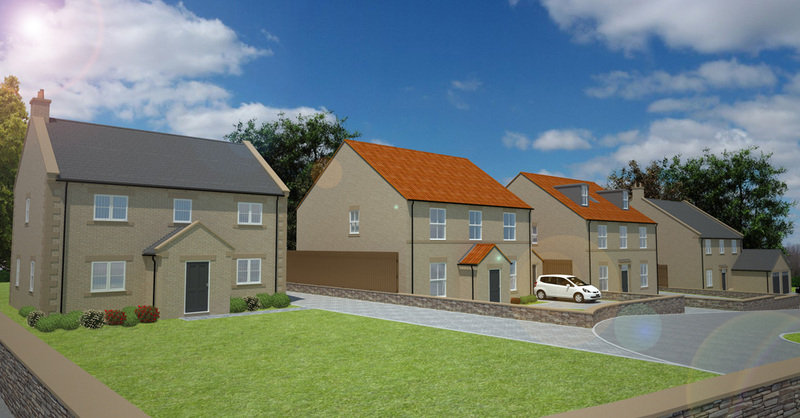 Situated on the site of a farm house and disused farm yard, our clients were a private consortium of self builders looking to create their own personal homes in the form of a small and secluded housing development on the edge of an existing housing estate in Brimington, Chesterfield. The 0.32Ha site has been split up into four equally sized building plots and Brightman Clarke Architects were appointed as architects to create a development that provided each member of the consortium with their own individually designed home whilst creating a sense of belonging and unity to the site. Having conducted an initial architectural consultation and site meeting it was clear that, whilst on the edge of an established housing estate, the farm yard itself formed a transition zone between the housing estate and open country side, with an established public footpath running across the front of the site acting as a gateway for walkers and cyclists to access the countryside beyond. This meant that any development on the site should respect the rural nature of its surroundings and ensure that the development density was appropriate. Using a limited pallet of materials, and using a Georgian architectural character throughout all of these individually designed properties, we have successfully created a characterful and attractive development that has a sense of unity and remains sympathetic to its rural setting. 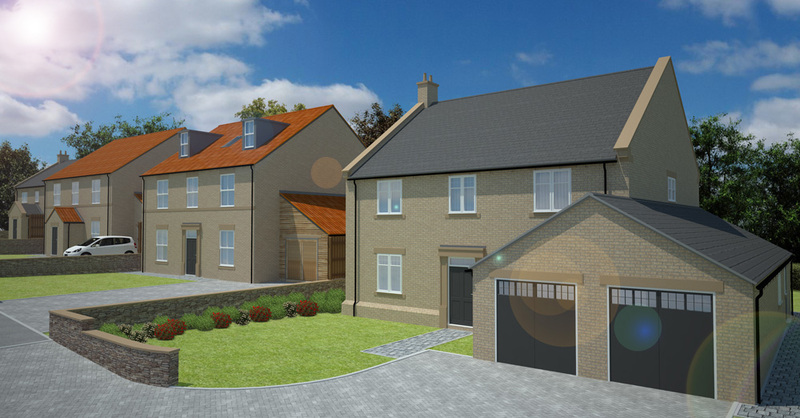 The approved scheme provides four new detached family homes which vary between four and six bedrooms. The site benefits from a private driveway set between stone entrance gates with large front and rear gardens that look out onto the surrounding fields and countryside beyond.